Today is another oddball holiday. It's Beverage Day! What's your favorite non-alcoholic beverage? ---Mine is definitely coffee. Chocolate shakes are a close second though. What's your favorite alcoholic beverage? ---Mine changes a lot. I had a plum martini a few weeks ago that was really good. My other long time favorite is a chocolate martini or an Irish coffee (how can you go wrong when it has chocolate?). Post in Comments and let me know what your favorite drinks are! I have a couple different ideas to help celebrate! 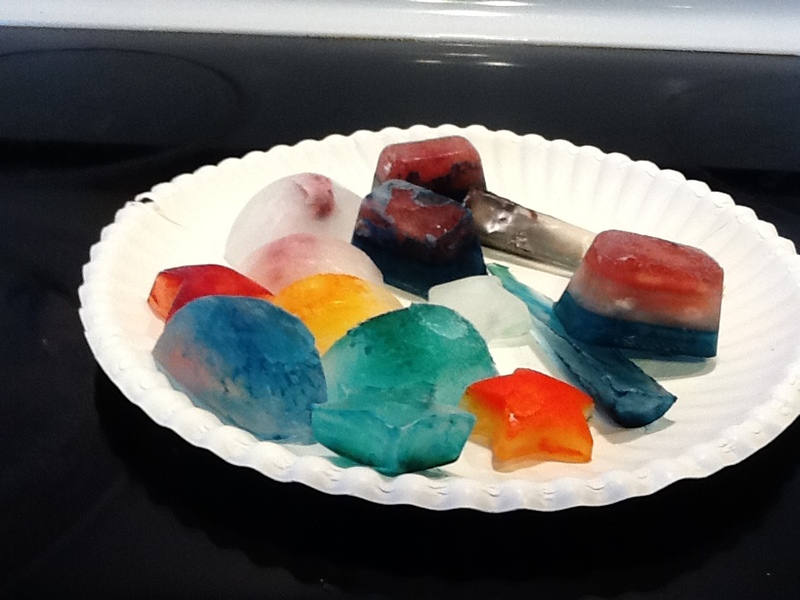 We made different shaped and colored ice cubes. This time we used food coloring, which ended up coloring the drinks as the ice melted. I think it might work better to use juice, soda, or other beverages as the liquid to make the ice cubes. 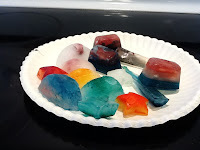 (If your kids are anything like mine and like to pick up the ice cubes, the food coloring will stain their hands.) You could also place berries or mint leaves in the tray before freezing. 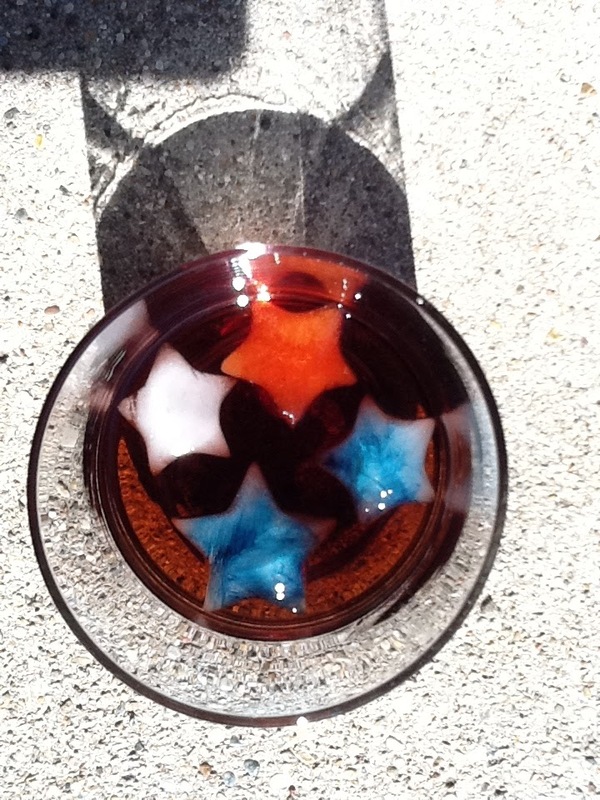 If you are enjoying lunch outside, freeze raisins for "fly" ice cubes. Help your kids set up a lemonade or Kool-Aid stand. Kool-Aid was invented in Hastings, Nebraska. Its inventor started out with a liquid, but switched to a powder to save on shipping costs in 1927. Kool-Aid is the official soft drink of Nebraska. Coca-Cola was originally sold by the glass for $0.05. It was first sold in a bottle in 1894. Ginger Ale was created in Ireland in 1851. Dr. Pepper was invented in Texas in 1885. Coca Cola was created in Georgia in 1886. Pepsi Cola was invented in 1898. Diet soda was first sold in 1959. Lemonade was created by the Egyptians.